Ready to start racing around the track in Team Sonic Racing? Sega is showing off a new look at the game with a brand new trailer. The new trailer shows off some of the gameplay you can expect to see from the blazing fast arcade racer as well as the racers within it – trust us, there are quite a few. Team Sonic Racing is a fast-paced competitive racer developed by Sumo Digital with a variety of characters and tracks pulled straight from the expanded Sonic universe. You can race with computer-controlled opponents or with friends, or hit the road with online multiplayer and local co-op mode that uses varied team mechanics and vehicle customization features. It's a sight different from the previous Sonic racing games, however, and will focus more on team-based mechanics, which can only be good news with how many characters and vehicles there are to choose from. What's it like, though? Is it worth plunking down some cold, hard cash on? "Overall, Team Sonic Racing is shaping up to be a colorful and exhilarating arcade racer that doesn’t shirk the classic fast-paced nature of Sonic Racing in favour of teamwork – the two work seamlessly together. With some light story promised in the adventure mode, and all manner of local-play compatibility, it will be exciting to see the final product when it releases in Winter 2018." Of course -- it didn't release in Winter 2018. It was, in fact, pushed back a bit, so we still haven't been able to give it a whirl yet, obviously. Looking for another addictive dose of arcade racing? This Sonic racer will be right up your alley. 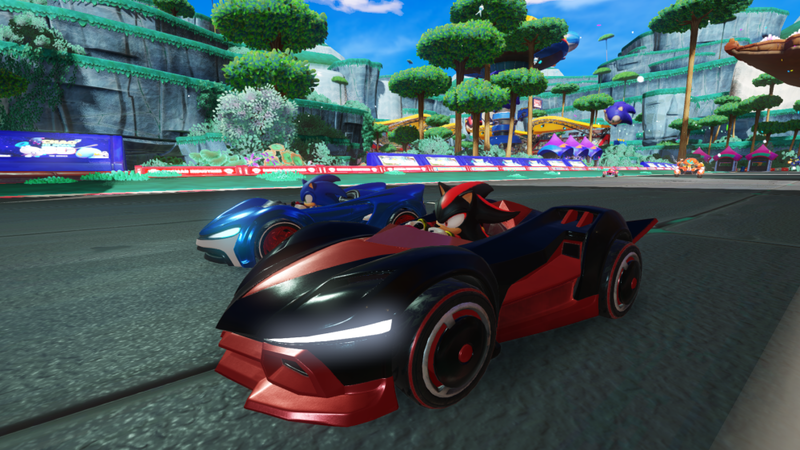 Right now, Team Sonic Racing is set to debut with a physical and digital release on May 21, 2019 on PlayStation 4, Xbox One, and Nintendo Swich. It's releasing as a digital-only option on PC. You can pre-order now to get ready for the race, and be sure to keep checking back at Shacknews for additional updates.